The University of Cambridge on Monday confirmed that China's gaokao, or the National College Entrance Examination, is regarded as a suitable preparation for Cambridge, in response to inquiries on whether it recognizes gaokao scores in a post on its official Sina Weibo account. The inquiries poured in after reports said that the University of Cambridge announced it has started to accept China's gaokao scores for Chinese students wishing to apply for undergraduate study at the prestigious British university. The university, however, said this is not something new, but a policy Cambridge has implemented for years. According to application information on the university's website, successful applicants from China will usually have scores in the top 0.1 percent of those taking the gaokao in their province. Applicants' individual subject scores and scores in the huikao, or the Senior High School Examinations, will also be taken into account. The reports have generated a lot of buzz online over the weekend. Netizens have broadly welcomed the move, saying this is a blessing for Chinese students who want to enter the university, though the bar is set high. It gives top Chinese students more choices and also shows that the gaokao is gaining more international acceptance. While some freshmen and sophomores have commented, "Is it too late now if I retake the gaokao and apply? ", more Sina Weibo users have jokingly regretted their "fate": "I missed the chance to study at Cambridge", "If the news came out years earlier, I would definitely have applied to Cambridge instead of Tsinghua University", "Cambridge, you lost the chance to admit me". After the excitement, some pointed out that overwhelming gaokao scores are just one of the many admission factors and Cambridge also mentioned this in its Sina Weibo post. In addition to top grades in the gaokao, Chinese applicants also need to meet English language requirements, participate in an interview and take a subject-specific written admission assessment as part of the conditions of an offer. 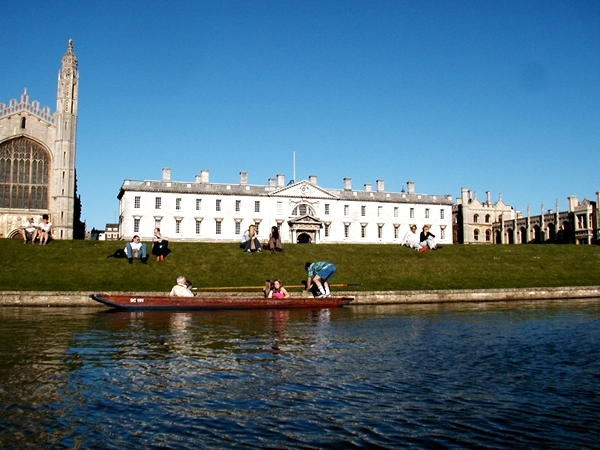 In recent years, the gaokao, which takes place in June every year, is increasingly being accepted as an admission criterion by universities and colleges in Europe, Australia, the US and Canada, including the University of New Hampshire, the University of Birmingham, the University Of Sydney and the University of British Columbia.